Zanzibar Private Yacht Charters - Have the yacht to yourself. Are you looking for Zanzibar Private Yacht Charters for two? Or perhaps maybe an Intimate Family Day out on the yacht? 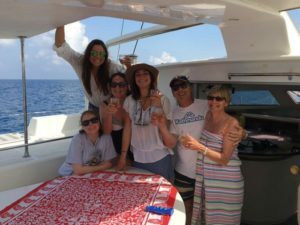 How about one of our fantastic Extended Live Aboard Yacht Charters with your fishing mates or dive buddy’s? 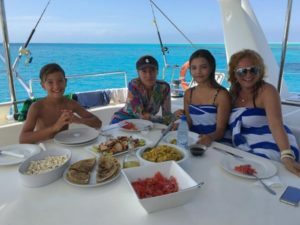 Here at Zanzibar Yacht Charter we are more than happy to help out regarding any particular requirements you might have. 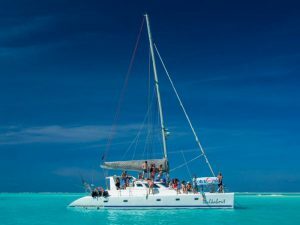 Picture yourself on a beautiful sailing catamaran cruising these spectacular Indian Ocean Islands! Get in touch with us now and let us know your thoughts. We will do our utmost to accommodate you and your group in every way possible! Family Fun out on the water! 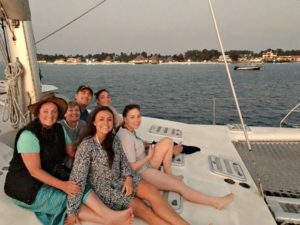 ENJOY OUR ZANZIBAR PRIVATE YACHT CHARTERS! A Romantic Private Yacht Charter for two! Perfect for Groups, Friends and Family! 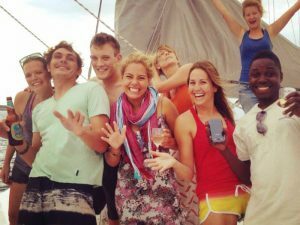 WHAT IS OUR IDEA OF PERFECT ZANZIBAR PRIVATE YACHT CHARTERS? To begin with it is evenings on deck spent under a starlit sky. At the same time it is the smell of fresh coffee from the galley as you take your morning swim. It is the exhilaration of sailing as you feel the wind in your face and the tug of the yachts helm. It is those pearly pink dawns, sunlit afternoons and quiet evening breezes. Lastly it is the powdery white beaches, remote tropical islands and exotic destinations ashore. So come and join us onboard one of our beautiful yachts today! Lets sail out into the warm Indian Ocean waters that surround Zanzibar and The Spice Islands! Enjoy with your Dive Buddies! Finally we will handle all the details for your own Zanzibar Private Yacht Charters Experience with the utmost professionalism and discretion to ensure your maximum enjoyment onboard. Contact us today if you have any Special Arrangements that you would like us to take care of. Need a Hotel Transfer from your hotel up to our base in Nungwi?